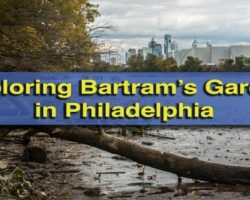 Planning a trip to Philly with the whole family? 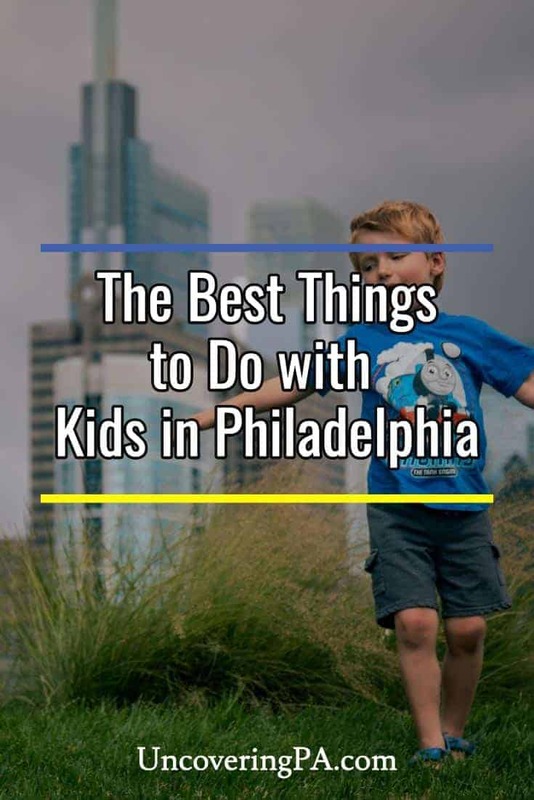 If so, you’re probably looking for the best things to with kids in Philadelphia, PA. Fortunately, there are a lot of great places in the city that are perfect for children of all ages. 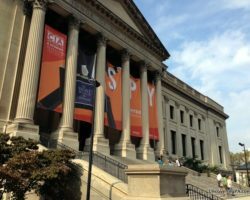 While no visit to Philly is complete without visiting Independence Hall or the Philadelphia Museum of Art (Check out our suggested itinerary for a first visit to Philly), these are a few of my favorite attractions that are specifically geared towards kids or have a lot of kid-friendly activities. Adding in a few of these during your trip will ensure that every member of the family loves their trip to the city. Here are a few of my family’s favorite things to do with kids in Philadelphia. There are many fun activities for younger children at the Please Touch Museum. There is nowhere in Philly that is more geared towards kids than the Please Touch Museum. Located in Fairmount Park on the western banks of the Schuylkill River, the museum features two large floors filled with play activities geared towards younger children. Here, kids can go shopping in a make-believe grocery store, pilot a toy boat through a canal, ride a 100-year-old carousel, and much more. If you are looking for things to do in Philadelphia with toddlers or younger kids, don’t miss this fantastic place. 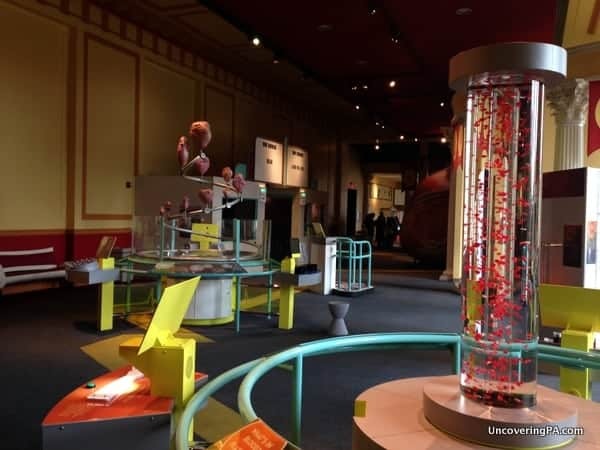 The Franklin Institute is a fantastic science museum with activities for the whole family. The Franklin Institute is a large science museum located on Logan Square in the heart of the city. 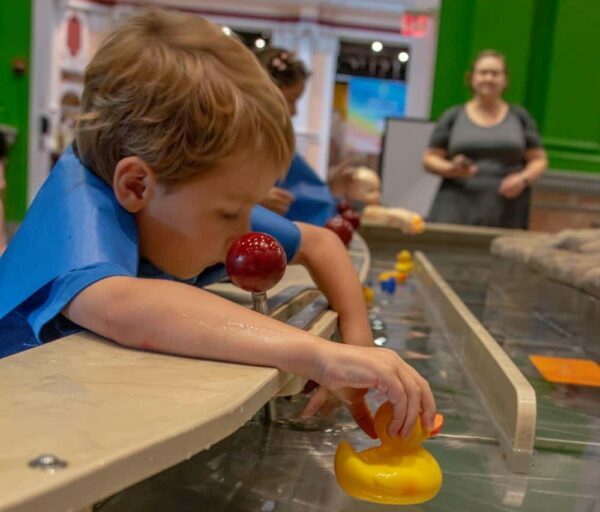 Founded just 34 years after the death of Benjamin Franklin, the museum now features three floors filled with great science related activities for every member of the family. 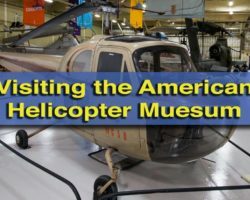 Highlights of this fun museum include a giant walk-through heart, the planetarium, and the flight simulators. While there, don’t miss their great temporary exhibitions and the Benjamin Franklin National Memorial. The Philadelphia Zoo is perfect for families that love seeing interesting animals up close. The country’s first zoo, the Philadelphia Zoo is a perfect thing for families to do when visiting Philly. The zoo is home to more than 1,300 animals including popular ones like giraffes, tigers, and gorillas. The zoo is very nicely laid out, which makes it walkable and easy to find your favorite animals during your visit. 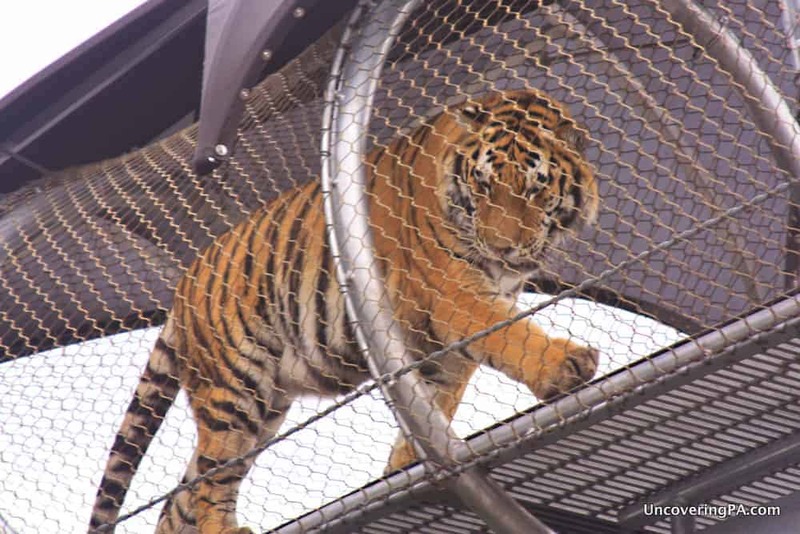 While at the Philadelphia Zoo, don’t mis the Big Cat Crossing where tigers can walk directly overhead! 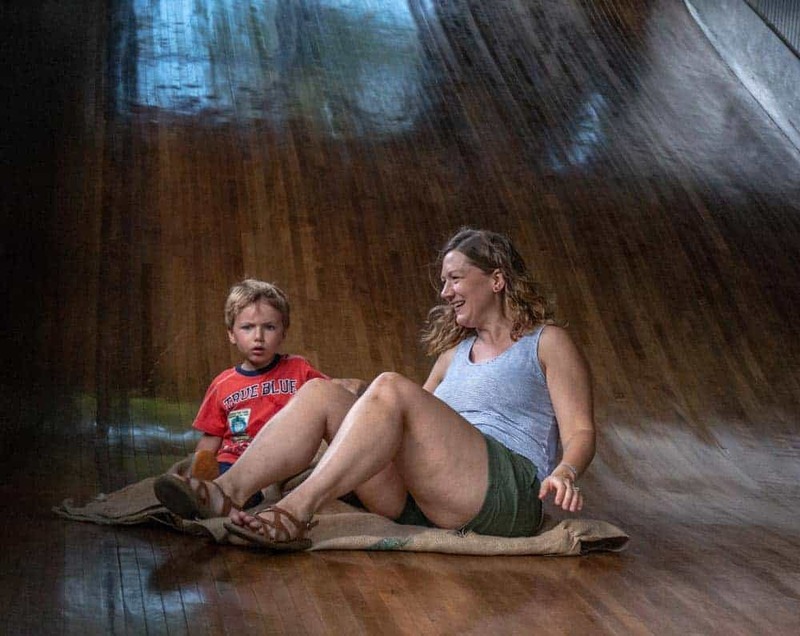 The giant slide at Smith Memorial Playground is fun for kids of all age. If you’re looking for things to do with kids in Philadelphia, look no further than the fantastic Smith Memorial Playground. Hidden away in Fairmount Park, this free-admission playground offers a plethora of activities for kids. The playground is centered around a large mansion built specifically as a playhouse for kids and features three floors of activities designed for children 5 and under. Outside, there are a variety of playgrounds for kids of all ages that allow them to climb, swing, and slide. While there, don’t miss the giant slide that requires sliding on old potato sacks. The Academy of Natural Sciences is the only place in Philly with large dinosaur fossils on display. If you want to see dinosaurs in Philly, you won’t want to miss the Academy of Natural Sciences in Center City. The first natural sciences museum in the country, this museum offers many fascinating displays that the whole family will enjoy. 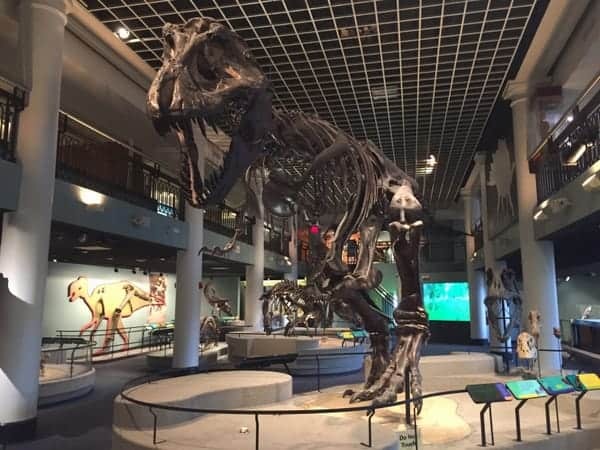 The major highlight of the museum is their Dinosaur Hall, which features several dinosaur fossils and the chance to watch archeologists uncover dinosaur bones in front of you. Other great exhibits include the year-round butterfly garden and the very large bird identification book that was hand drawn by John James Audubon. 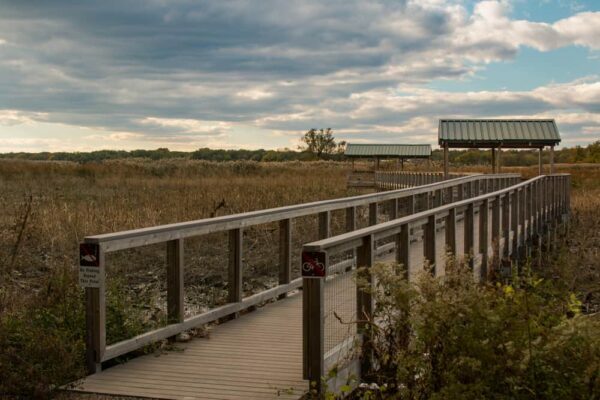 The John Heinz National Wildlife Refuge features trails that are perfect for the whole family. The John Heinz National Wildlife Refuge is located in southern Philly near the airport. This was the country’s first urban National Wildlife Refuge and protects the largest tidal marshes remaining in the state. The hiking trails here are quite easy and meander around the refuge’s marshes. Along the way, there’s the chance to see native wildlife, including bald eagles. It’s also fun to watch planes landing at the nearby airport. Want to get high above Philadelphia? There’s no higher publicly-accessible vantage point than at One Liberty Observation Deck. 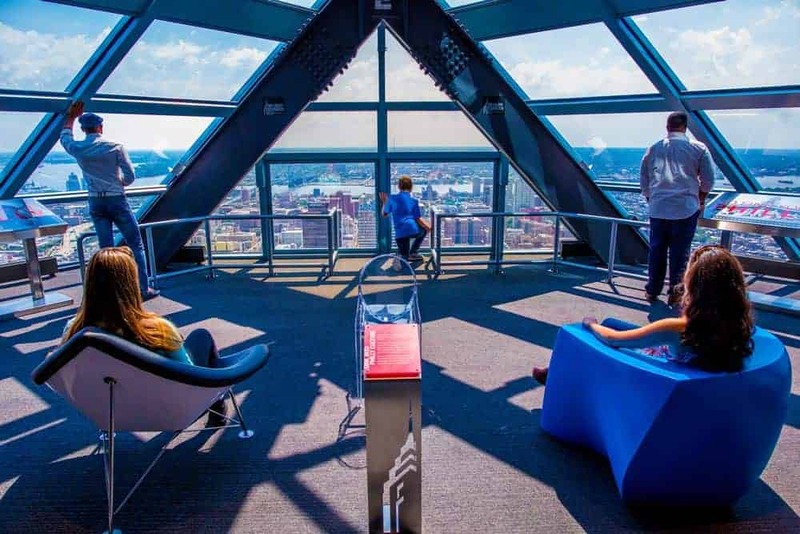 Located in Center City on the 57th floor of the One Liberty Tower, the area features a commanding 360-degree view from nearly 900 feet above the streets below. Signage in the observation deck helps you know what you are looking at, though the view is so amazing, you’ll be in awe for a good chunk of your time above the city. 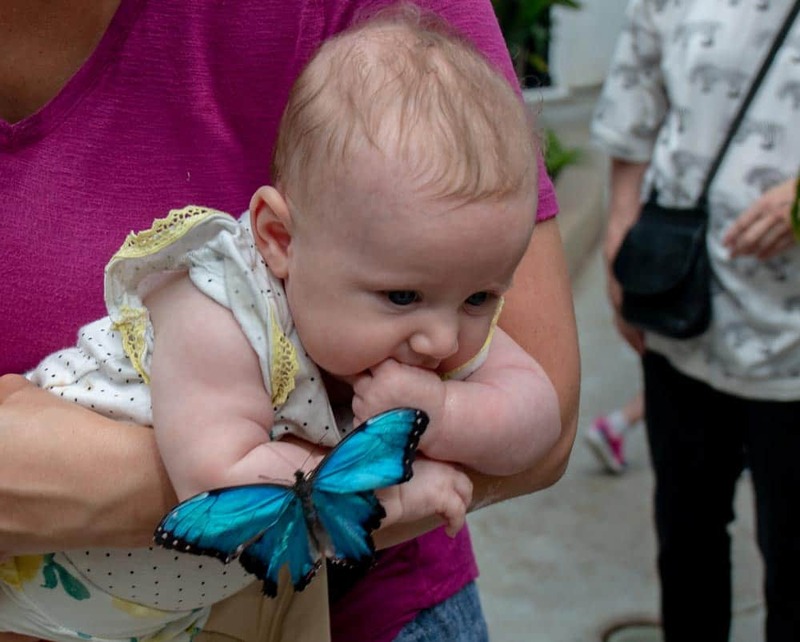 The Insectarium and Butterfly Pavilion is fun for kids of all age. If you love bugs and other small animals, you won’t want to miss northern Philly’s Insectarium and Butterfly Pavilion. This museum is actually split into two parts with the Insectarium on the second and third floors of the main building and the Butterfly Pavilion in a separate wing in the back. Dozens of different species of insects can be seen, but the museum also features a large collection of spiders, frogs, and even snakes. All animals are housed in small cages, and a some are occasionally brought out for visitors to hold. The Butterfly Garden is home to dozens (if not hundreds) of butterflies that fly around a large room, sometimes even landing on guests. This is a great spot for kids to wander while searching for these beautiful creatures. The Magic Gardens is a unique piece of public art that will bring out the imagination of kids. 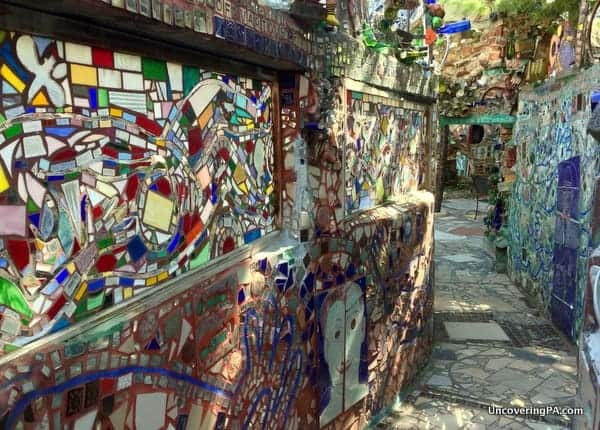 The Magic Gardens are a work of public art by Philly artist Isaiah Zagar. Zagar took a dilapidated home in what was, at the time, an undesirable area of town and turned it into a work of art. Using trash and other items he found around the city, he turn the home and the adjoining courtyard into a place filled with murals and other unique pieces of art. In addition to the Magic Gardens, other pieces of his work can be found scattered throughout the city. Franklin Square’s mini golf course is great family fun with a unique Philly twist. Philly’s Franklin Square is one of the five squares that William Penn planned into his new city. 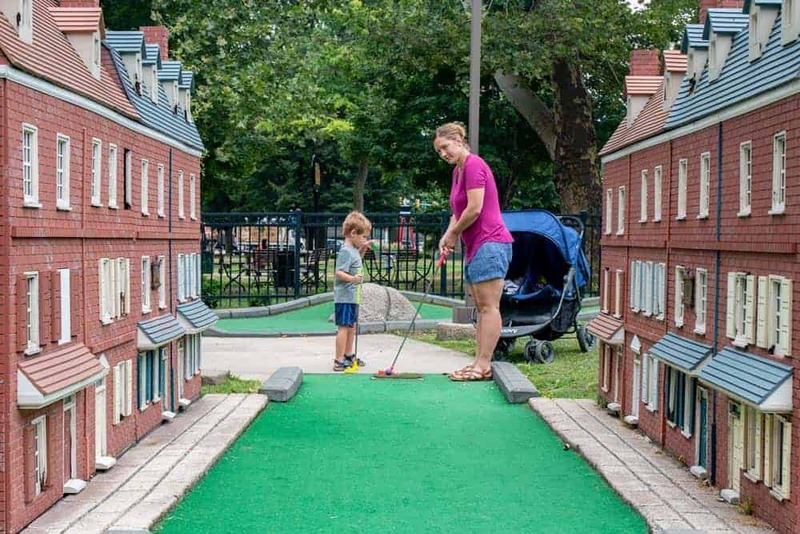 Today, the park is home to several family-friendly attractions in Philadelphia. Visitors to Franklin Square can enjoy the fountain, take a ride on the carousel, or play on the square’s playground. The highlight, however, is the great Philly themed mini golf course. While it needs a bit of TLC, this course is easy enough for kids, but still a bit of a challenge for adults. As you play, you’ll hit balls through Elfreth’s Alley, over the Benjamin Franklin Bridge, and into the Philadelphia Museum of Art. RiverRink SummerFest and WinterFest are fun ways to enjoy family time in Philly. 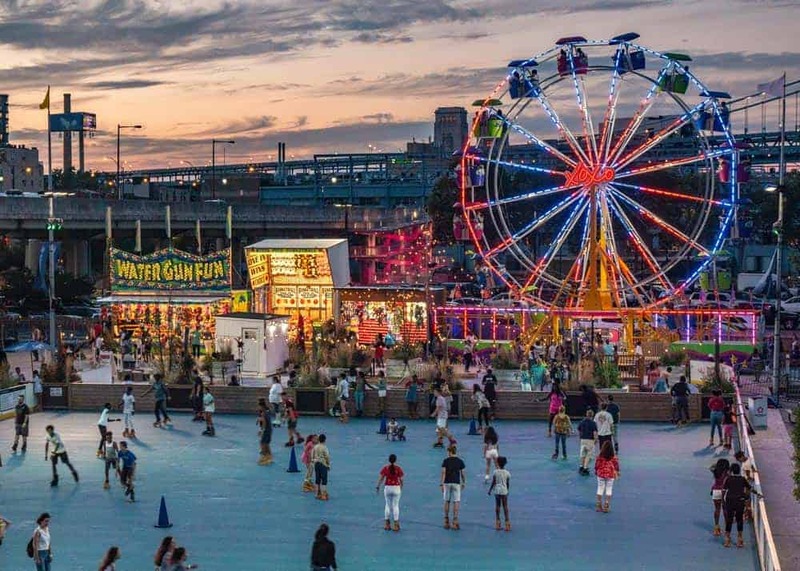 RiverRink SummerFest and WinterFest are two twin attractions that are held on the same spot along the Delaware River waterfront. During SummerFest, families can go roller skating, take a Ferris wheel ride, try their hand at games of skill, ride a carousel, play mini golf, or simply relax with food and drinks. During WinterFest, the roller skating rink turns into an ice skating rink, and visitors can warm up inside the area’s food and drink pavilion. SummerFest runs May through September while WinterFest is open from late November through early March. 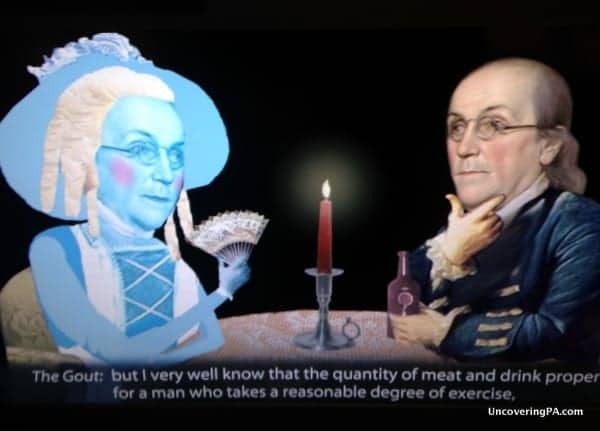 The Benjamin Franklin Museum features many humorous displays in addition to great historical information. To be honest, I’ve never visited a museum quite like the Benjamin Franklin Museum in Philly’s Old City. Run by the National Park Service, this museum offers wealth of information about Franklin’s life and has many artifacts from it. What makes it so unique and fun is that many of the museum’s displays are done in a way that incorporates humor (something Franklin was well-known for). This creates a museum that is as much fun as it is educational. 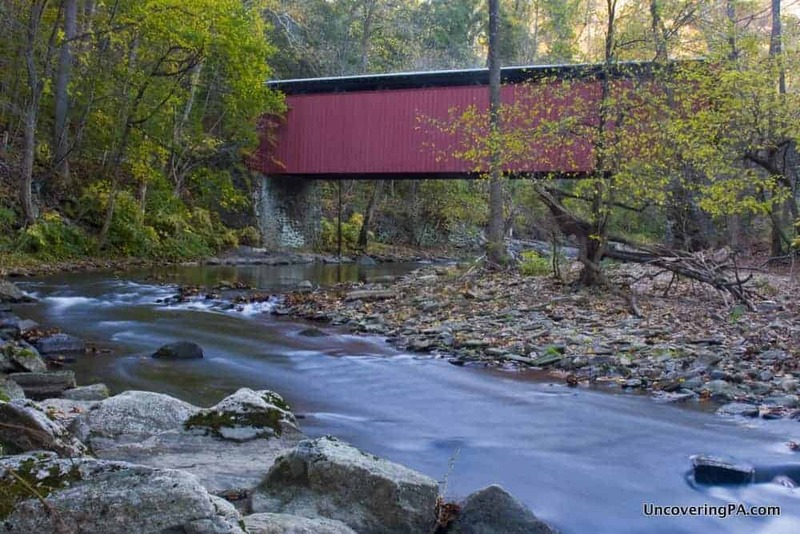 Wissahickon Gorge is home to 50 miles of hiking trails in the heart of Philadelphia. Wissahickon Gorge is an 1,800 acre park in northern Philly. The gorge is filled with 50 miles of trails that are perfect for a hike of nearly any length. 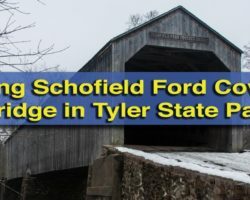 Hidden away in the gorge you can discover a small cave, statues, cliffs, and even a covered bridge. If you are looking to get into nature, Wissahickon Gorge is a great choice and there are trails for every level of hiker in the family. Tours of the United States Mint are fascinating for both kid and adults. 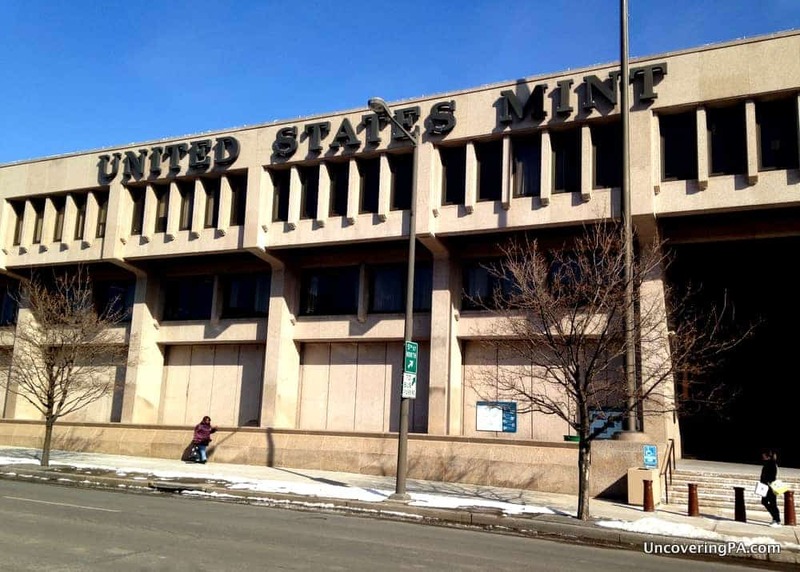 Located near Independence Hall, the United States Mint is where many of the coins in your pocket were made. The self-guided tour of the mint is one of my favorite free things to do in Philadelphia. Tours take you on a pathway high above the factory floor. Signage offers information about what is happening inside each room. Along the way, artifacts and history about the mint help tell the story of how our money is made. Note that all adults are required to show a photo ID and all visitors must pass through a metal detector before taking the tour. 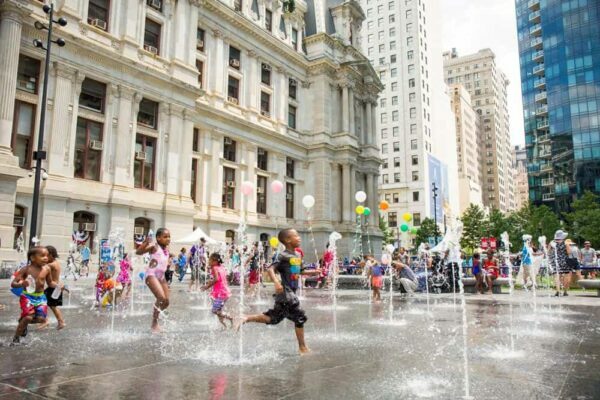 There’s no better way to cool off in the summer that to visit one of Philly’s splash pads and spray parks. 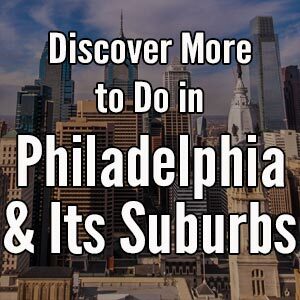 While they are scattered throughout the city, two of the best for visitors to Philly are the ones in Sister Cities Park near Logan Square and Dilworth Park next to City Hall. 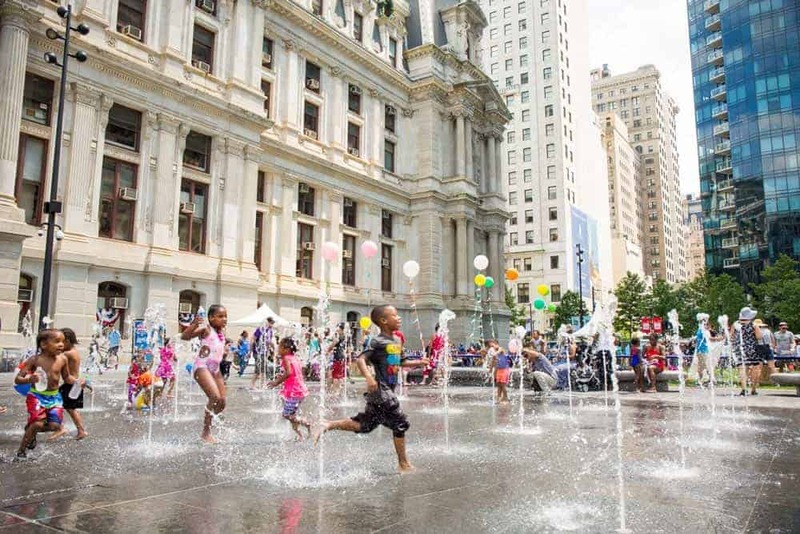 Take a few minutes out of your busy day visiting sites in Philly to let the kids splash around. There’s a good chance it might be there favorite part of visiting the city. 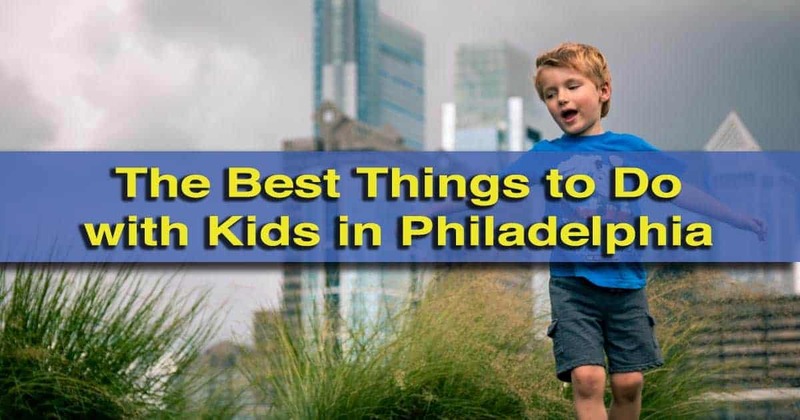 What is your favorite thing to do with kids in Philadelphia? Let us know in the comments section below.